For Madhuri Dixit fans the actress is seen singing for the first time in Gulab Gang. The actress has sung a song in the film for the very first time in her career, and to add the icing to the cake, she is joined by her mother in the song too! 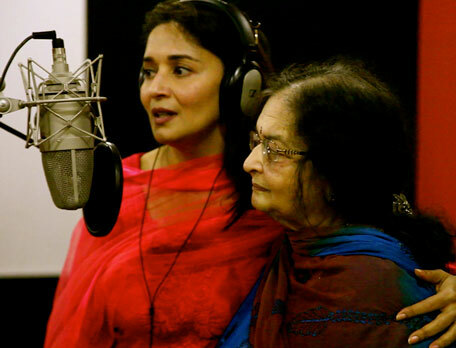 Madhuri's mother Snehlata Dixit is a trained classical singer and she too has rendered her vocal chords for the film with her more popular daughter. For those not in the know, the song is a 'kajri' (folk song) called ‘Rangi Sari Gulabi Chunariya’. 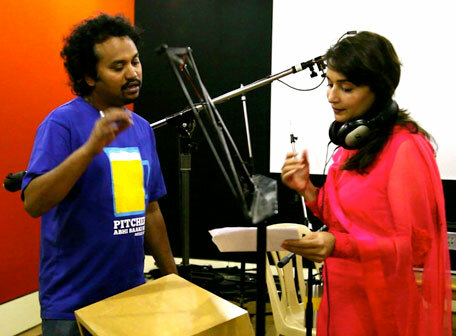 Snehlata Dixits starts off the song and then Madhuri takes it on, all under the baton of the director Soumik Sen who has doubled up as the music director of the film as well.